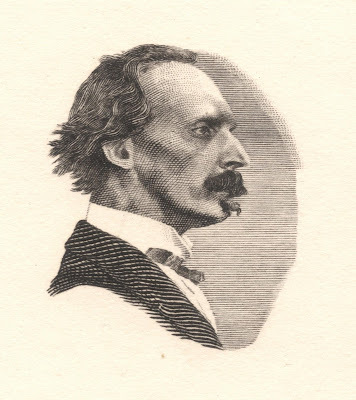 Marcus Wickliffe Baldwin (1853-1925) was born in Irvington, New Jersey in March 1853, into a printing family. 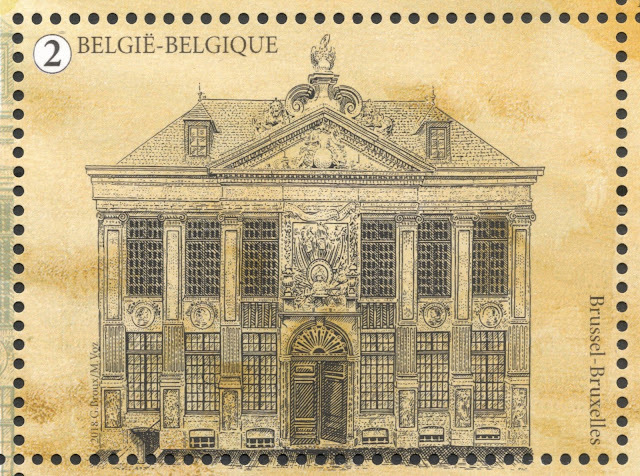 Young Marcus showed artistic talent and at a very young age became an apprentice at the American Bank Note Company. 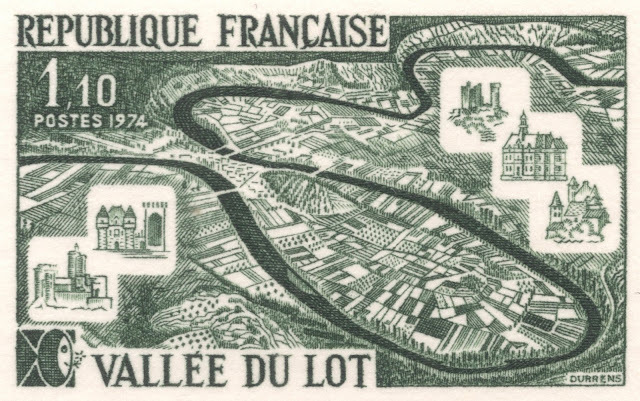 He was taught the art of engraving by two famous banknote and stamp engravers, Louis Delnoce and Alfred Jones. In the evenings he went to the National Academy of Design. Only 16 years old, Baldwin joined the National Bank Note Company and remained with them after the firm merged with the American Bank Note Company in 1878. But a few years after the merger, Baldwin set up his own company, called Baldwin, Gleason & Co. For two decades his company catered for all sorts of engravers’ and printers’ jobs. Only in 1897 did Marcus Baldwin, together with his father, join the Bureau of Engraving and Printing (BEP). His father became a siderographer, transferring engraved dies to printing plates, and Marcus became a picture and portrait engraver. 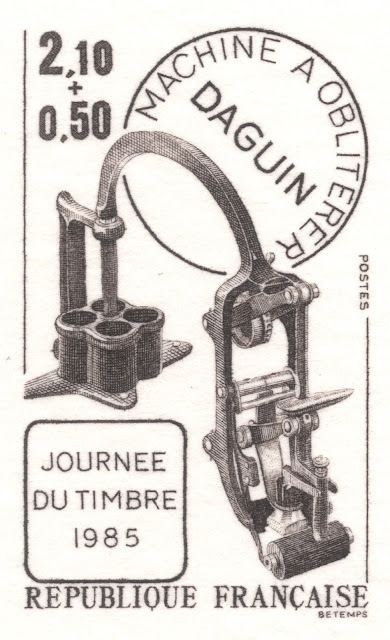 This is the moment his career in stamp engraving took off. During his stint at the BEP, which again lasted some two decades, Baldwin was responsible for the engraving of many a President’s portrait on America’s definitives. From the ‘Series 1902’, for example, Baldwin engraved the portraits of Lincoln (5c), Webster (10c), Harrison (13c), Clay (15c) and Farragut ($1). 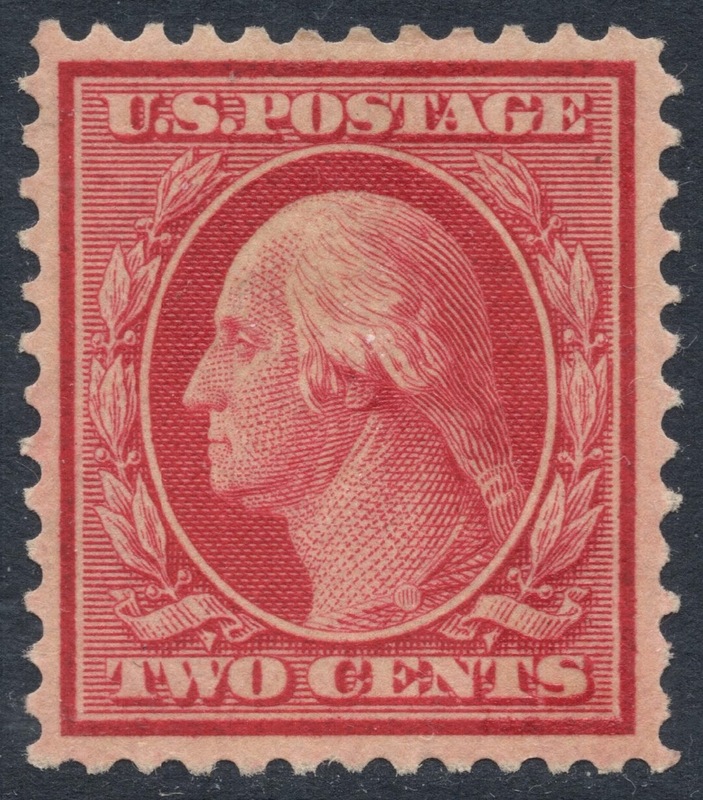 He also engraved Washington’s portrait on the 1908 definitives and Franklin’s portrait on the 1912 set. Baldwin may have created a range of American definitives which are familiar to us all, but his portfolio contains many more gems. He was also heavily involved in many of the commemorative issues around the turn of the century. 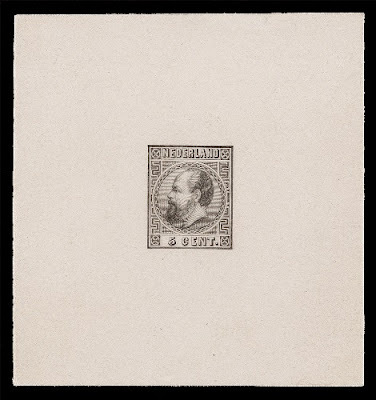 In 1898, Marcus engraved the vignettes of several stamps in the Trans-Mississippi Exposition, Omaha issue. 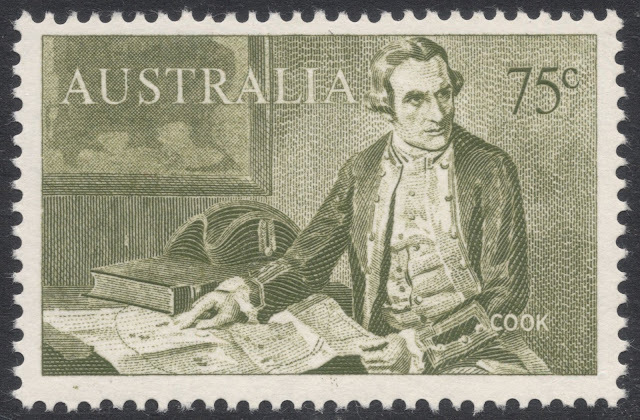 His engraving of the ‘Western Cattle in Storm’ vignette of the $1 value, especially, is still considered one of the very best stamp engravings in the US catalogue. Baldwin also engraved the vignettes (and some sources say the frames as well) of the 2c, 5c, 10c and $2 values. 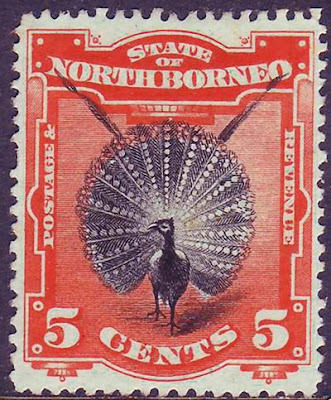 Hot on its heels followed the popular bicoloured stamps of the 1901 issue for the Pan-American Exposition in Buffalo. All the vignettes, excluding the 1c, were engraved by Baldwin. 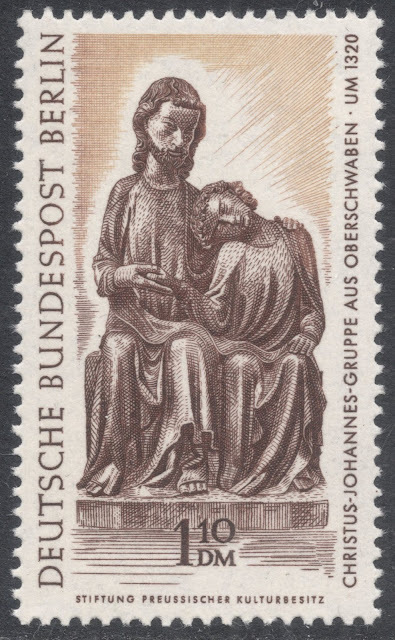 It was BEP’s first attempt at printing bicoloured stamps and some values were inevitably printed with the vignette upside down. BEP’s second attempt at bicoloured printing, in 1918, was yet another stamp engraved by Baldwin. 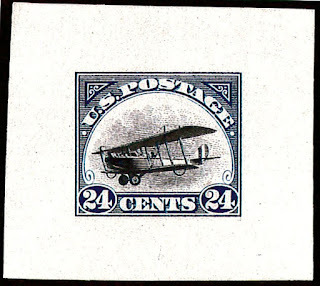 Mainly known for its variety, the Inverted Jenny, Baldwin’s airmail engraving has become the most famous US stamp ever. Unfortunately, this stamp has for a long time been attributed to another engraver, but information from Baldwin’s diaries has since proved that he really was the engraver of the vignette. Marcus was 65 when he started engraving the vignette of the famous 1918 US airmail issue, depicting Jenny, the Curtiss JN-4. According to the official BEP die production records, he worked in the vignette on 8 and 9 May 1918, for a total of 18 hours and 45 minutes, receiving $46.61. His die was numbered 664. 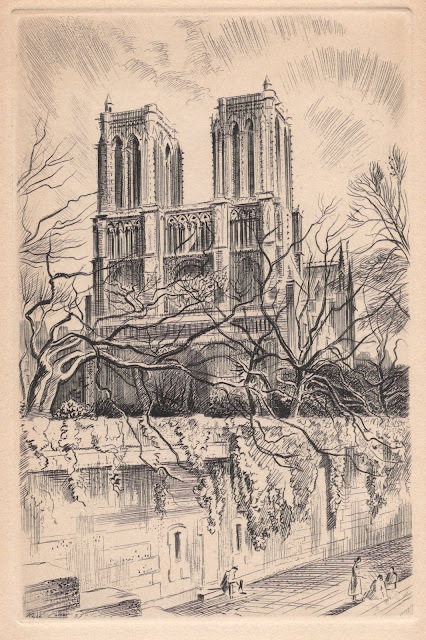 At the time he was considered one of BEP’s most accomplished engravers. Proofs of Marcus’ die in combination with Weeks’ frame die show that the plane he engraved did not carry any number. 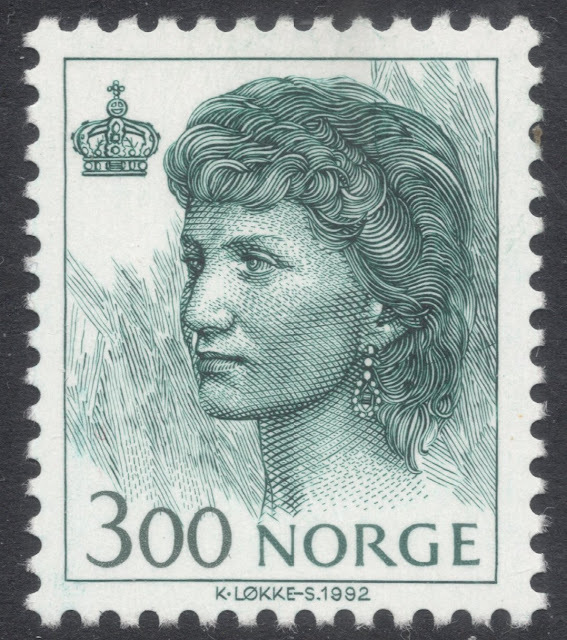 Yet, the eventual plane on the stamp carries the number 38262. In his diary, Marcus wrote that ‘Weeks did the lettering’. While for many years philatelists believed this referred to Edward Weeks doing the lettering of the frame, it is now thought that Mr Weeks engraved the number on the plane as well. At the end of the 1910s, tensions over pay between management and staff at the BEP became more and more disagreeable. It was a period during which many engravers sought employment elsewhere. Baldwin, wanting to stay, joined committees to negotiate better deals for the many engravers at the firm. He was even sent on a fact-finding mission to various other printing firms, but all his hard work and negotiations were of no or very limited avail. Disillusioned with the firm’s practices, he eventually retired from the BEP in 1920 and returned to the American Bank Note Company in 1921. There he would enjoy his final years of his career until his death in 1925. In this last period, Baldwin engraved still a good many stamps, mainly for Central American countries, with his portrait engravings for the 1921 Centenary of Independence sets issued in Nicaragua and Panama being the ones that stand out. Marcus passed away in 1925. You will find Marcus Wickliffe Baldwin's database HERE.